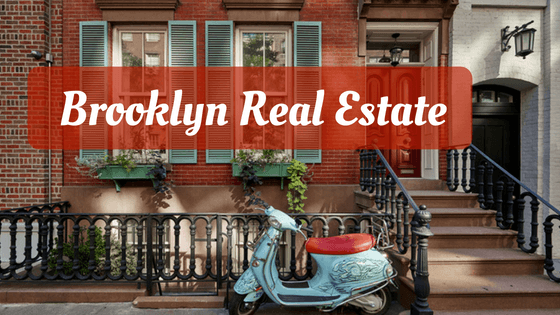 Brooklyn’s Real Estate market is continuously ascending in the past decade. Analogous to the demand at real estate industry, the number of agencies providing various listings is increasing. It seems that Brooklyn area is one of the higher priced properties in New York. Nevertheless, there is a constant competition among the local real estate agencies to gain the customers' attention. The one with more effective marketing strategy will win the game. Following the trends, the Brooklyn realtors have moved “online” and opened a whole new era of advertising leaving far behind the old fashioned way advertising on billboards, vinyl banners, and TV commercials. To have a successful Facebook campaign, first and foremost your website needs to be optimized for traffic. As it is well known that most of the social platforms' users are on cell phones, your site must be mobile friendly and fast. 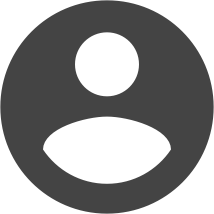 If your site is loading forever, the user as your potential customer will abandon it. Therefore, before putting an effort to plan and create the Facebook advertising strategy, make sure that the website’s functionality is supportive enough. Secondly, the most important thing is that you need to have an opt-in form on the website where you will send the people while placing an Ad. Opt-in forms are created for people to leave their emails in return for some value that you offer. Statistically proven, the posts that get the most engagement are video clips and photos with links. Once you create a beautiful three minutes video about your business or new listing post it on your Facebook page, you need to take a closer look at its performance. After 24h of monitoring, if your video gets more views and engagement organically comparing to your other recent posts, you may boost it directly from the page. That is the simplest form of advertising and cost-effective. Boosting the video allows you to choose a relevant target group. In most of the cases real estate agencies would make the targeting based on zip code (one or more) always adding interests or behaviors ( people interested in home purchase/rental). You will determine the budget and duration of Ad. It is necessary to monitor the Ad’s performance on a daily basis in order to shut it down when stops performing efficiently. The best practice is to do a split testing of the Ads before ending up in choosing the best performing Ad. It is good to have a Split testing budget that can help you creating a several Ads with the same text and different imaging or different target group. Then measure a tweak. If your social marketing goal is collecting prospects’ emails, then you should consider a Lead Gen Ad. Why is it essential to build your customers’ email database? Having collected your prospects emails opens for you the whole new sales funnel based on email marketing. Before setting a Lead Gen Ad, you need to end up creating the Lead Magnet. A Lead Magnet is some value that you promise to give to the people in return for their email address. In the case of Real Estate Agencies, it might be a home evaluation, moving checklists, local market guide, etc. These are some of the ideas of what you can use as your lead magnet. After leaving their email, you will send the people to your website to the Thank You page that you will ask your web designer to create for you unless you already have it. Once the new prospects are on your website and browsing your advertising mission is done. Another thing you should apply to your Facebook Strategy is live videos. As you are personality-driven business, people tend to trust more those businesses whose representatives make them feel confident about the purchase they intend to make. Live videos, or videos with you in it will help you gain recognition and trust. If your video gets enough views, you can always use it for remarketing later. People that took their time to watch your video are those that are interested in what you have to say and offer. So, they are your warm audience. Other types of content that you should post on your Facebook page are beautiful photos of housings with a link to the listing, or some news from real estate industry. Make sure that your personality shines through it. That way you are building your brand and relationship of trust with your present and future clients. Brands, just like people have personalities and with a right strategy make yours stand out of the competition. Lastly, share occasionally content from the page to your profile. Due to recent Facebook algorithm changes your business content will get more visibility on your personal profile rather than a page. Don’t overdo it though. Your personal friends are a different entity than page fans. If you overfeed them with the business posts, they might as well unfollow or even unfriend you.